When you acquire a compression unit, the manufacturer generally supplies an operating map for the unit, showing what the efficiency and gas power should be at various operating conditions. 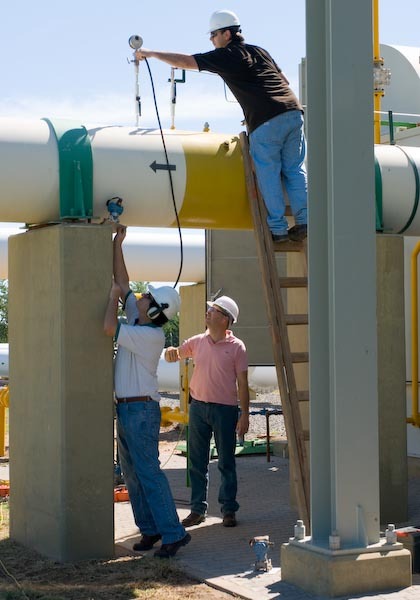 What you don’t get, is a clear picture of how the unit actually behaves in your own pipeline environment, and whether the unit continues to meet the manufacturer's specifications. Our Performance Testing software gives you the tools to accurately measure the current performance of each of your units, and each of the stages in multi-stage units. You can build operating (wheel) maps, measure the onset of surge, and predict seasonal operating characteristics. 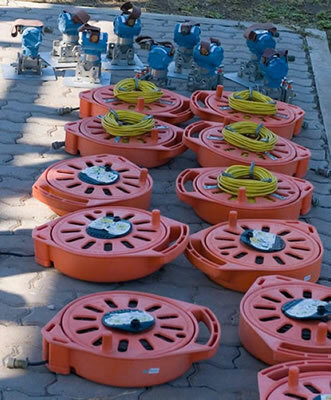 We also give you tools to measure anti-surge valve performance. It’s common to use calibrated pressure and temperature transducers for Performance Testing, along with a portable data acquisition system. This will often give better accuracy than the station instrumentation. However, you can use either dedicated instrumentation, or the station instrumentation. Either way, remote operation is generally possible (but not recommended for surge testing!). Doesn't our SCADA system do this? The better SCADA systems do give you part of the story. In most cases though, not enough pressure & temperature information is transmitted to the SCADA system to be able to accurately measure performance, or to build accurate operating maps.